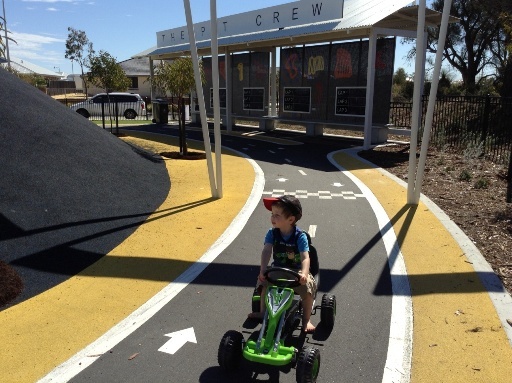 Pitstop Playground Banksia Grove, located within Discovery Park, is like no other you have seen before and is perfect for the little racer at heart! 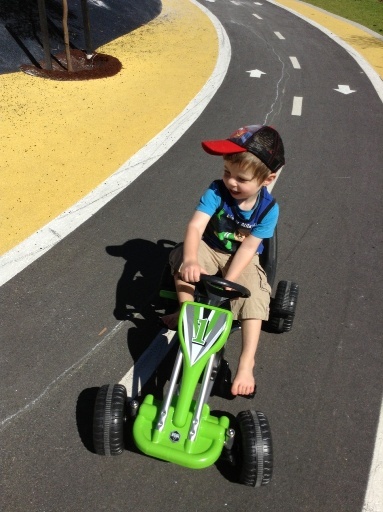 If you are visiting Pitstop Playground, bikes, scooters, go karts or other ride on toys are essential. 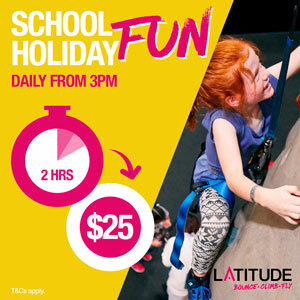 Kids can experience the feel of riding on a race track with out the danger of cars. The pathways are fully marked as roads complete with lots of road signs and other markings. 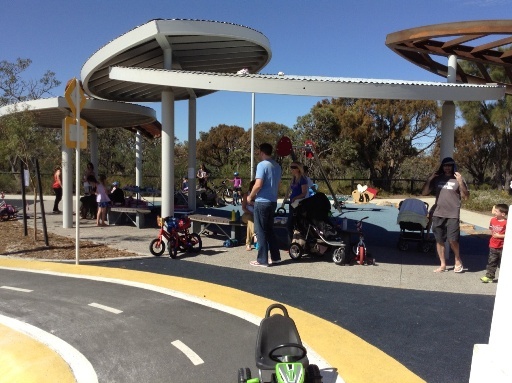 Pitstop Playground Banksia Grove is definitely better suited to kids 4yrs+. There isn't much for the littler ones except for the swings and seesaw. You need to watch littler ones closely, particularly when it's busy as the bigger kids can get up a bit of speed going around the track. 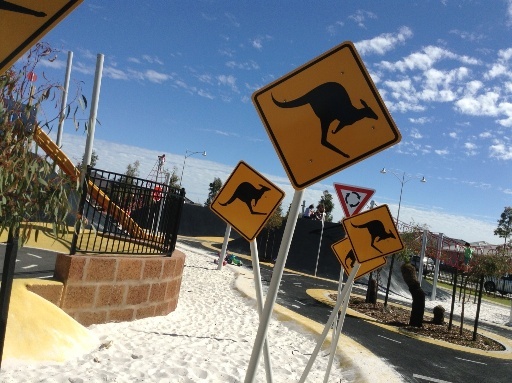 The large mounds make it difficult to watch children the whole way around the track from any of the seated area. I saw one Dad pushing his daughter on a Smart Trike - this is a great idea if you are going to take younger children along who are maybe not yet independently riding. 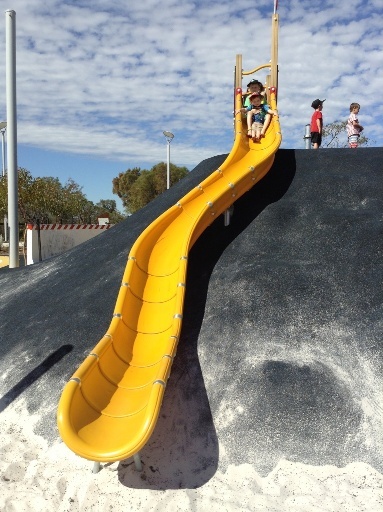 The access to the slides and horizontal climbing frame are by using a rope to pull yourself up a hill, there are no steps to access these. 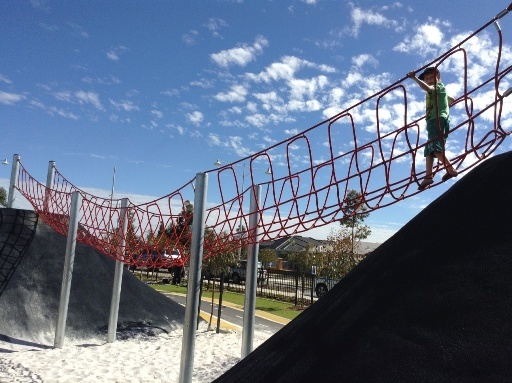 So this playground is definitely for the more adventurous kid. Around the playground there is a little bit of grassed area, but there is no shade over any of the playground or surrounding area. 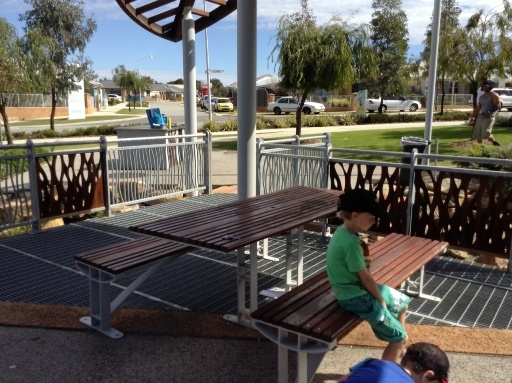 There are shade sail posts over the centre section of the race track so shade sails may go in over summer, but aside from the seated table area, the rest of the playground area is unshaded. 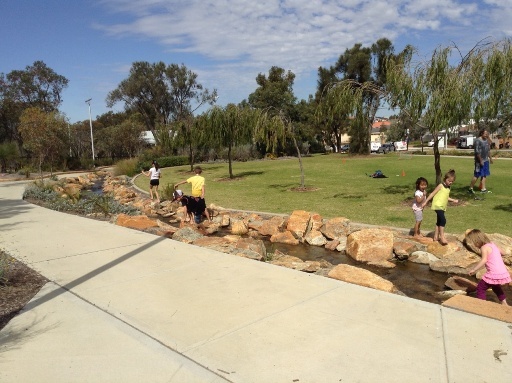 Be warned the kids will find it hard to resist the creek and water feature - especially if it was a hot day like today. There is quite a bit algae in the water and it has a bit of a smell to it, so don't let your children drink the water or get in near their face. Pitstop Playground can get busy, so if you want to get away from the crowds to have a quiet snack or some lunch follow the creek all the way down to the little lake - there are lots of Koi in the lake. There is a winding footpath all the way down, so kids can ride their bikes or scooter. 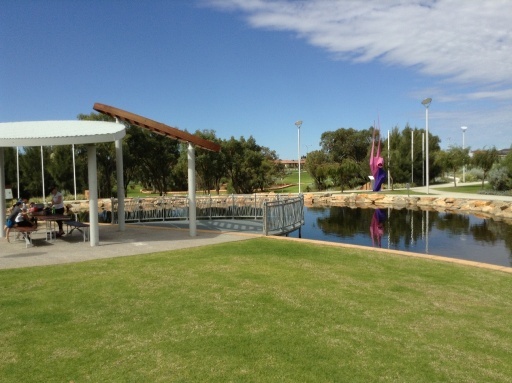 Just past the lake is a larger grassed area so this is a great place to kick a ball - as there isn't much room around the playground area for this. 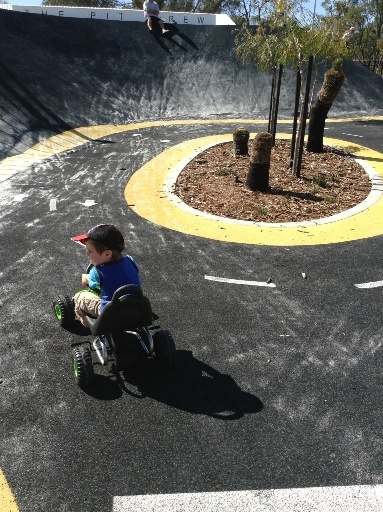 Pitstop Playground in Banksia Grove is definitely a unique playground experience, but just be prepared if you are going with young kids it may be hard work, keeping an eye on them and reminding them to keep to the left of the race track roads etc. 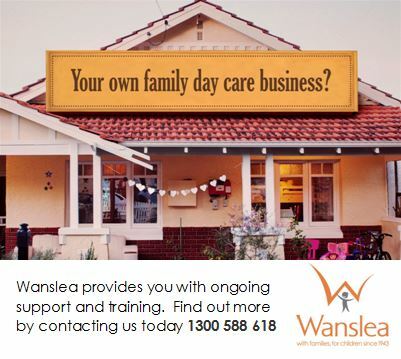 It is a great way to teach them the road rules and some road safety. 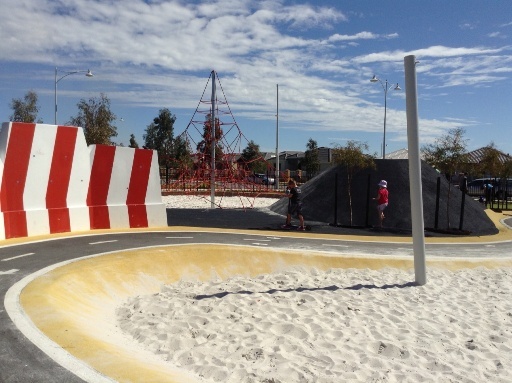 With all the radiant heat from the black soft fall and black pathways (roads), and the lack of shade this playground can be very hot - and given that kids will want to ride around and around - its a playground that's best visited in the cool of the day. Either way make sure you take lots of water - there is a drink fountain there too if you need to refill. Parking is not great. 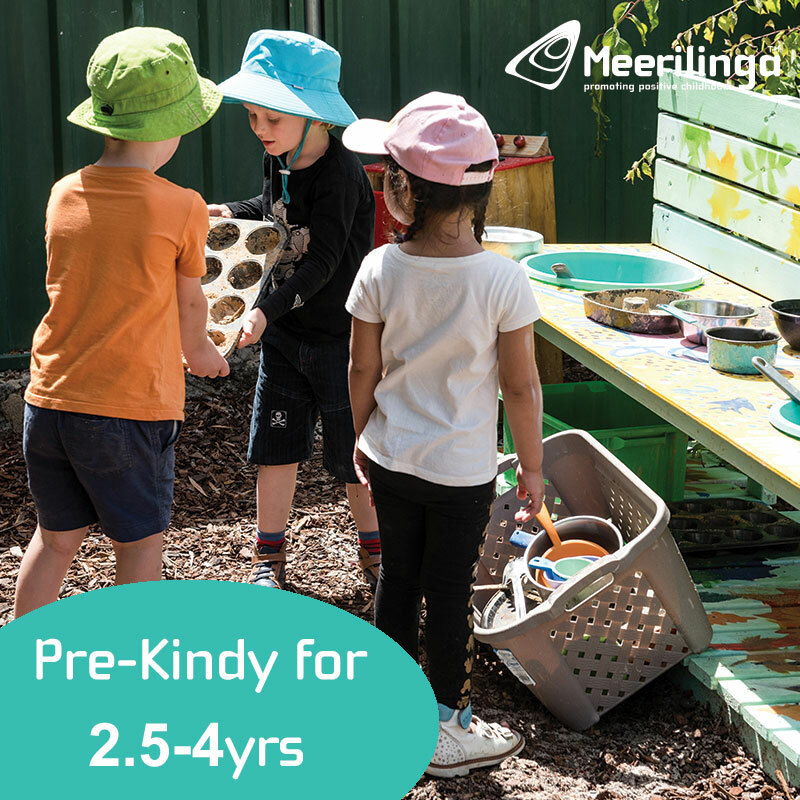 Parking is on the side of the road and there is an overflow carpark that has been set up for parking also on Glasshouse Drive, but it's a short walk from the playground. 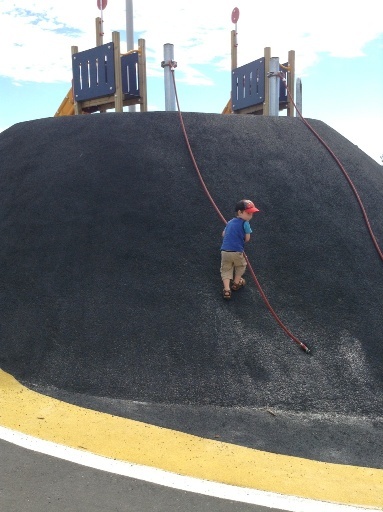 Safety Considerations: the large mounds mean that it is not possible to sit and supervise children. Young children need close constant supervision to ensure they don't walk in front of fast moving bikes & scooters | There is also a water feature near by and the quality of the water is questionable so don't let children drink or inhale the water.